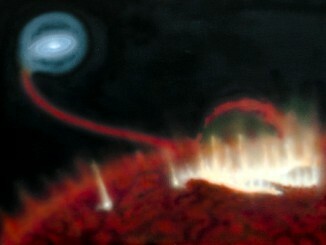 Observations with the Atacama Large Millimetre/submillimetre Array (ALMA) have revealed what seems to be a gigantic flare on the surface of Mira, one of the closest and most famous red giant stars in the sky. Activity like this in red giants — similar to what we see in the Sun — comes as a surprise to astronomers. 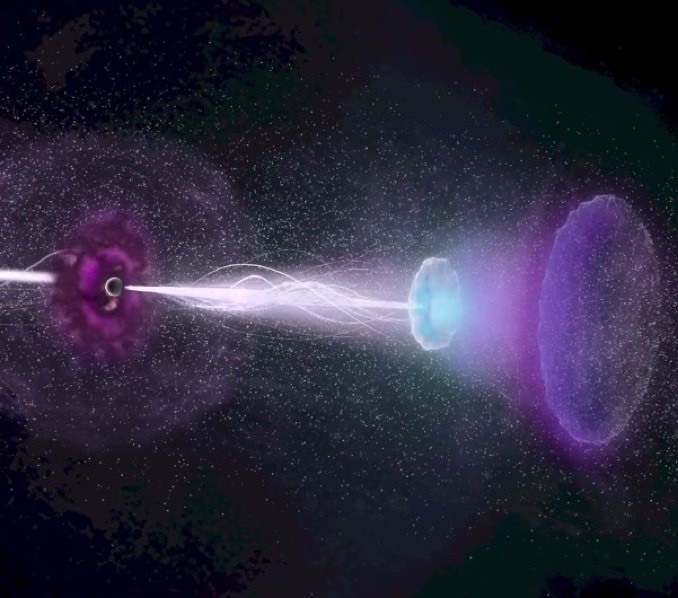 Researchers have identified a young star, located almost 11,000 light-years away, which could help us understand how the most massive stars in the universe are formed. 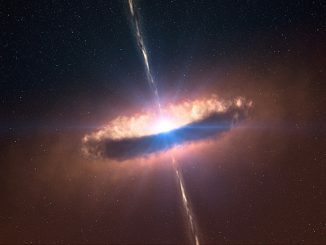 This star, already more than 30 times the mass of our Sun, is still in the process of gathering material from its parent molecular cloud, and may be even more massive when it finally reaches adulthood. 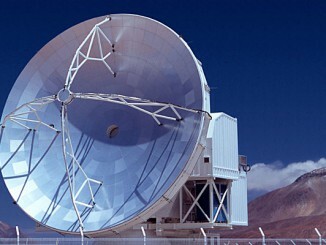 The Atacama Pathfinder Experiment (APEX) is a 12-metre radio telescope for observations at submillimetre wavelengths, operating 5,100 metres above sea level in the Atacama Desert. On 25-26 January, the project’s 10th anniversary was celebrated at the APEX base station in Sequitor, San Pedro de Atacama. A number of special guests were present at the occasion.